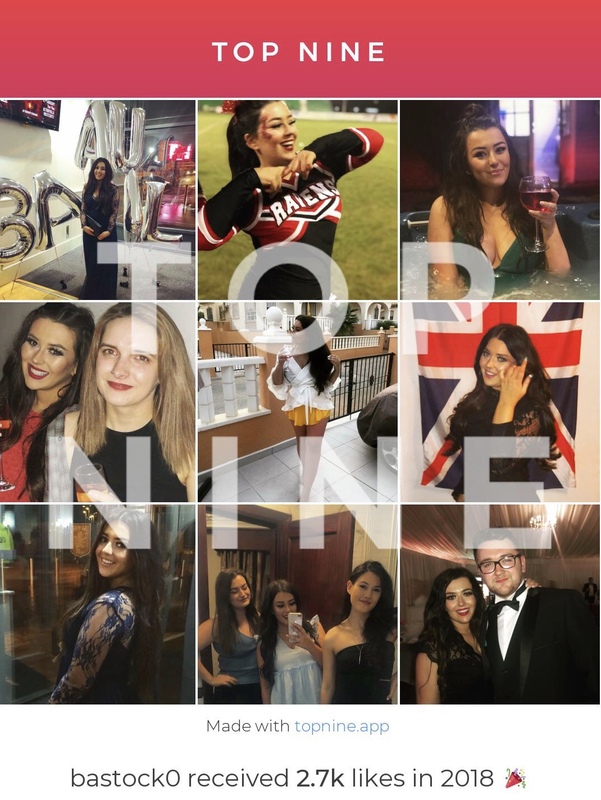 If you follow me on Instagram you'll know about my highlighter series running all through January (and if you don't know about my instagram you should go follow me on @alyspace ) but for those who don't, I'm posting a highlighter review every Monday throughout January where I'm going to be looking at the cult favourites of 2016! 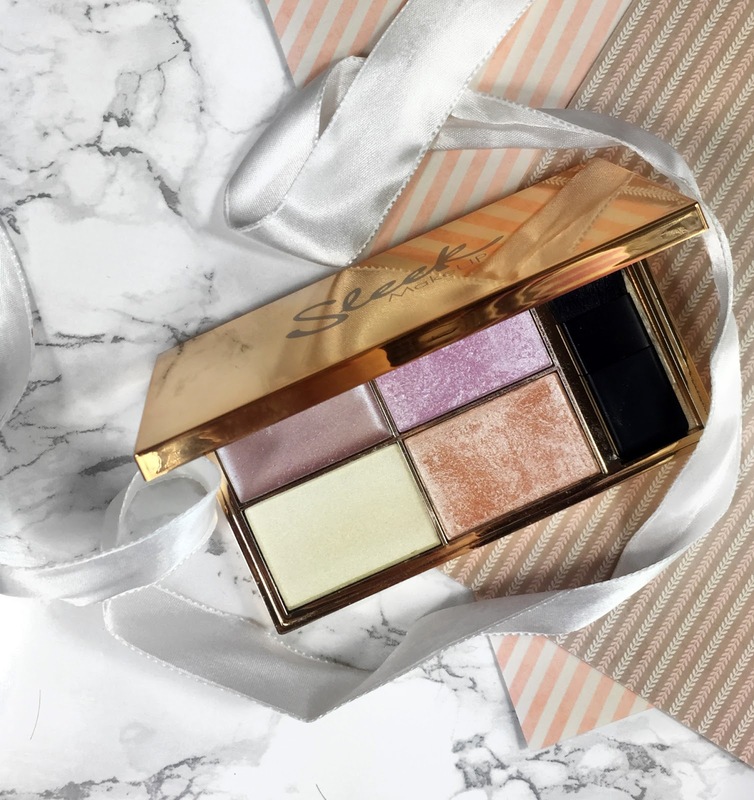 A recent buy for me, and a long overdue purchase, is the Sleek Solstice highlighting palette, which is the review that's going to kick off this series. The palette includes 4 different shades; 3 powders and 1 cream. They are all relatively cool-toned shades, which is not usually my thing on my yellow toned skin, but it surprisingly works with this palette. Here's a quick look at the colours! 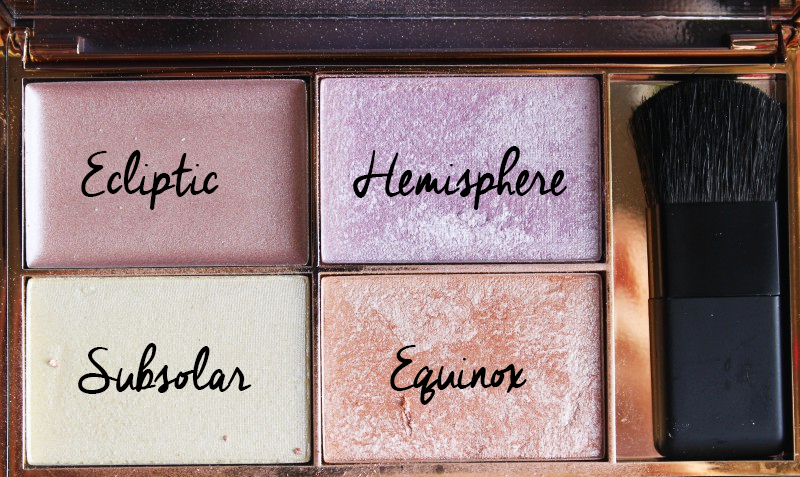 ❤ Ecliptic: is the only cream shade in this palette. It looks very purpley in the pan but is surpsingly more of a champagne colour. I don't actually reach for it all that much, just because I feel like I have more pigmented cream highlighters from Jouer that suit my skin tone better, but by no means is this a bad cream highlight. It's pigmented and creates more of glow-from-within look rather than a glittery streak on your cheekbones. ❤ Hemisphere: is a purple lavender colour with a very luminous glow. I wouldn't wear this every day but it's lovely to play around with, or to apply very lightly just for a subtle cool-toned glow. Colourpop's Hippo or ABH's Purple Horseshoe are very similar. ❤ Subsolar: is an extremely light yellow highlight. It verges on being gold whilst still being quite a cool-toned colour. I really like this shade and it's extremely pigmented. I found this was the only highlight in the bunch that accentuated my pores somewhat, which is disappointing, but it's still pretty nonetheless. ❤ Equinox: is the warmest in the palette. Equinox is a copper/peach colour with an almost metallic finish. 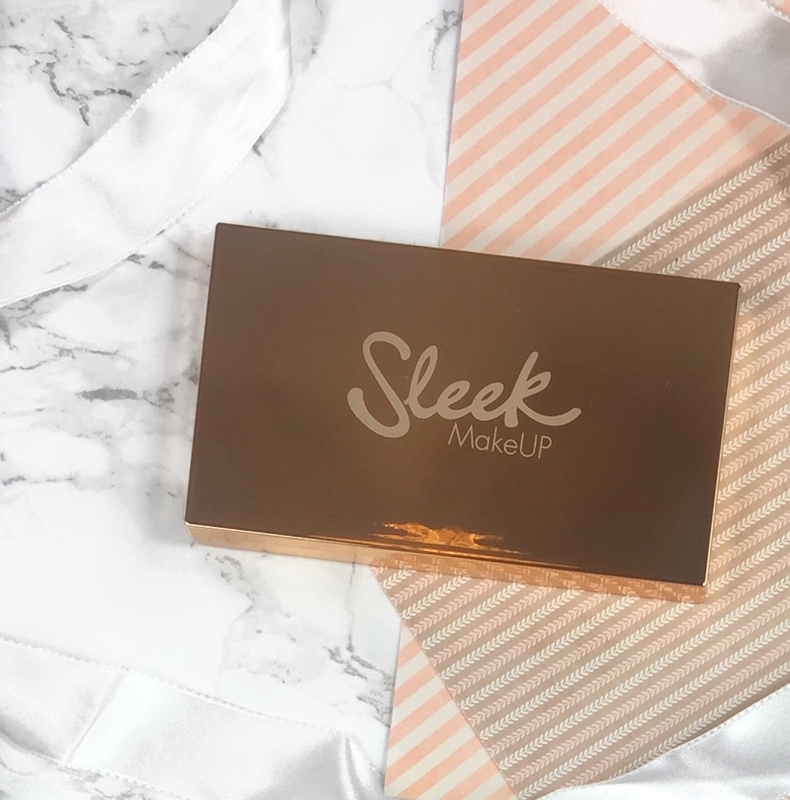 This is my favourite shade in the palette and I've been wearing it almost every day! I would pay the full price of this palette for this shade alone. For £9.99 at your local Boots or Superdrug, this is a no-brainer. Even if only one shade worked, it's still only £10 for a beautiuflly pigmented highlighter - so the fact that you get 4 is amazing! I can see why this was in everyone's favourite videos this year and I've already bought the other two shades (oops!). Verdict? DO NOT HESITATE. DROP WHAT YOU'RE DOING AND PICK THIS UP. RIGHT. NOW. I LOVE this palette so much, especially Equinox, it is stunning! Ahh I love this too!